Sometimes a promotion has done its job best when their plans go awry. 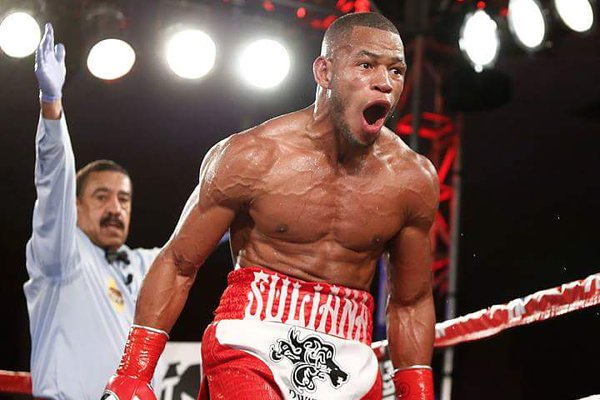 Heading into last Friday night’s showdown between Sullivan Barrera and Vyacheslav Shabranskyy, it was the younger Ukrainian who was being viewed as the potential player in the light heavyweight division. Barrera was a true contender, but at 34 and coming off from a loss to Andre Ward earlier this year, he was seen by many as on the downside, while the 29-year-old Shabranskyy was undefeated and ranked inside the top 10 by almost everybody. But it is Barrera who will be ending 2016 with a flourish, after an impressive, Rnd 7 TKO over Shabranskyy. Shabranskyy showed some skill and plenty of grit, even managing to floor Sullivan in Round 2. But in this highly entertaining bout, Barrera was almost always in the driver’s seat. He had the better hand speed and footwork and controlled the tempo and distance for the exchanges throughout. Barrera talked afterward about getting a rematch with Ward. I would be interested in seeing it at some point–Barrera is a master craftsman and would possibly be more competitive with the pound-for-pound star in a rematch. But Ward should not be fighting anybody else until after he has rematched with Sergey Kovalev. When a champion loses his belts in a fight as close and hotly contested as Ward’s decision over Kovlaev, the champion deserves an immediate rematch. A good fight for Barrera in the meantime would be Adonis Stevenson. The WBC champion needs a challenger who can help him remain relevant and Barrera would fit the bill. Barrera-Stevenson would have the potential for fireworks. A high-profile win like this one should make it easier for Sullivan Barrera to make bigger fights in general, now. He will be firmly in the top 10 now. There are a handful of great potential opponents for him among the contenders waiting to play a role in the shake up following Ward and Kovalev’s presumed rematch early next year.